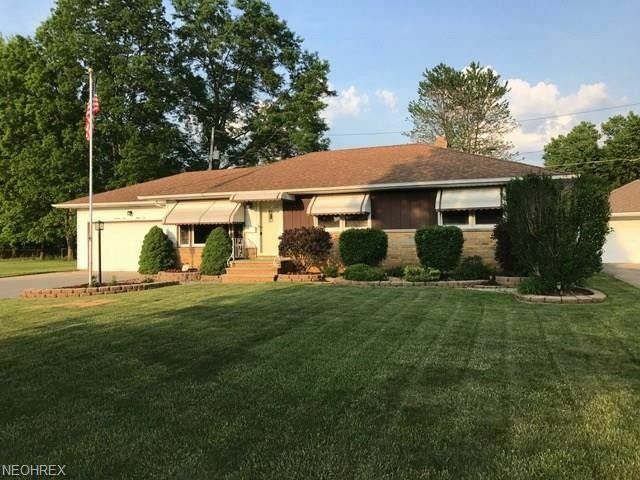 A Well Cared For 3 Bedroom Parma Ranch In A Desirable Location! Been In This Family For Many Years! Extra Large Addition (23ft x 13ft to be exact) Off Dining Area With A Wall To Wall Fireplace! Large Picturesque Window And Surround Sound Hook Up In This Nice Entertaining Area-Perfect For Those Theater Chairs! Kitchen Is A Decent Size And All Appliances Stay! Hardwood Floors Exist Under Carpets-Which Were All Just Professionally Steamed Cleaned! Basement Is Awesome! Full Length Of Home Entertaining Area With Bar, Built In Desk With Storage, Glass Block Windows, And A Bonus Room To Use As A Den, Office Or Extra Bedroom! Full Bath Down Here Too Is Convenient! Triple Wide Driveway & Two Car Attached Garage With SO MUCH Storage And Attic Space, Your Whole Family Can Store Their Holiday Decorations Here! Deck Off Back For Your Outdoor Parties! A Stone's Throw Away From James Day Park & Tri-C College Is Close Too! 1YR. Home Warranty Offered For Piece Of Mind! With This Market...Schedule Your Showing Fast-This Is A Nice Home...You'll See!